The ease with which President Donald Trump carried out his campaign promise to pull the United States out of the Trans-Pacific Partnership (TPP) will not be matched in Britain’s exit from the European Union (Brexit). Until the United Kingdom stands on its own outside the EU, it will be unable to negotiate a free trade agreement (FTA) with the U.S., an aim shared by both countries’ leaders. This post looks at the Brexit hurdles and their implications for negotiations of a U.S.-UK trade agreement. In a January 23 Presidential Memorandum, President Trump directed the U.S. Trade Representative (USTR) to withdraw the U.S. as a signatory to the TPP and “permanently withdraw” from TPP negotiations. The President also required the USTR “to begin pursuing, wherever possible, bilateral trade negotiations”. A week later, on January 30, Acting USTR Maria Pagan informed the other TPP signatories that the U.S. “does not intend to become a party” to the TPP, noting that the U.S. “remains committed to taking measures designed to promote more efficient markets and higher levels of economic growth”, both domestically and around the world. One of the trading partners with which the new President is keen to negotiate an FTA is the UK. That was a topic that Trump and British Prime Minister Theresa May addressed in their recent bilateral meeting. But, before the UK can negotiate its own trade agreements, it must leave the EU. That is not a simple process. First, it must trigger Article 50 of the Treaty on European Union to initiate a two-year process during which it will seek agreement with the EU on the terms of disengagement and their future relationship. The Prime Minister aims to initiate the Brexit process before the end of March. The precise timing will depend on approval by the British Parliament, a requirement imposed by the Supreme Court. It ruled that the Prime Minister could not trigger the Brexit process without Parliament’s consent. To comply with the Court ruling, May’s government on January 26 introduced a brief bill, “The European Union (Notification of Withdrawal) Act 2017”, in the House of Commons. Under an expedited procedure, members of Parliament have three days to introduce and act on amendments to the legislation. After approval by the House of Commons, the bill will go to the House of Lords for its consent. Under the best-case scenario, the withdrawal legislation would clear Parliament in time for May’s government to start the Brexit process as early as March 9. In a White Paper published on February 2, the British government outlined its plans for exiting the EU and their future relationship. 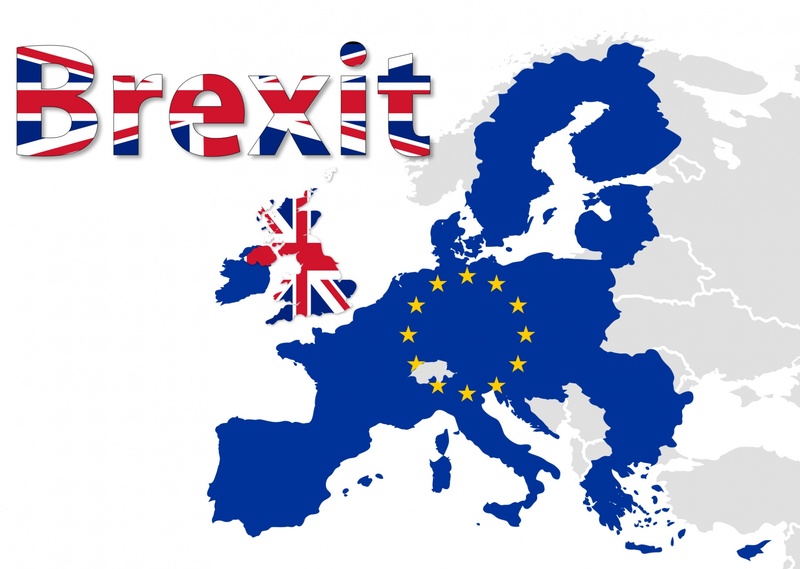 The document, “The United Kingdom’s Exit from, and New Partnership with, the European Union”, confirmed that the Prime Minister intends to take Britain out of the EU single market and customs union. Under the customs union, the UK and the other member states apply a common tariff and are not allowed to negotiate their own trade deals. Thus, exiting the customs union is a prerequisite to negotiating a trade agreement with the U.S. and other countries. A key element of the Brexit negotiations will be developing a new trade relationship between the UK and the EU. Such an agreement will need to be approved by the parliaments of all EU member states and the European Parliament. It is considered doubtful that the EU and the UK will be able to reach a permanent trade agreement quickly due to the complexities involved, so a transitional arrangement could apply for several years. After it leaves the EU, the UK will also need to work out its own commitments in the WTO with the other Members. This process could also be a lengthy process. While the U.S. and the UK may be able to lay the groundwork for negotiations of a new trade relationship before Brexit is complete, substantive negotiations could not begin until the UK has left the EU, which will not be before early 2019. The timing may also depend on the development of the EU-UK trade relationship and of the UK’s WTO commitments. This entry was posted in Brexit, International Trade, Trump Trade Policy and tagged Brexit, Britain, European Union, Trans-Pacific Partnership (TPP), United Kingdom by Jean Heilman Grier. Bookmark the permalink.